DermaSweep Premium Peel is for those wanting dramatic results. As always, our infusions are customized for your skincare needs. Infusions of licorice, bearberry, and kojic acid can help reduce unwanted dark spots. For maximum exfoliation, an acid peel using glycolics, TCA infusions, or Jessner’s solution can be applied (with some downtime). This is a 6 package. 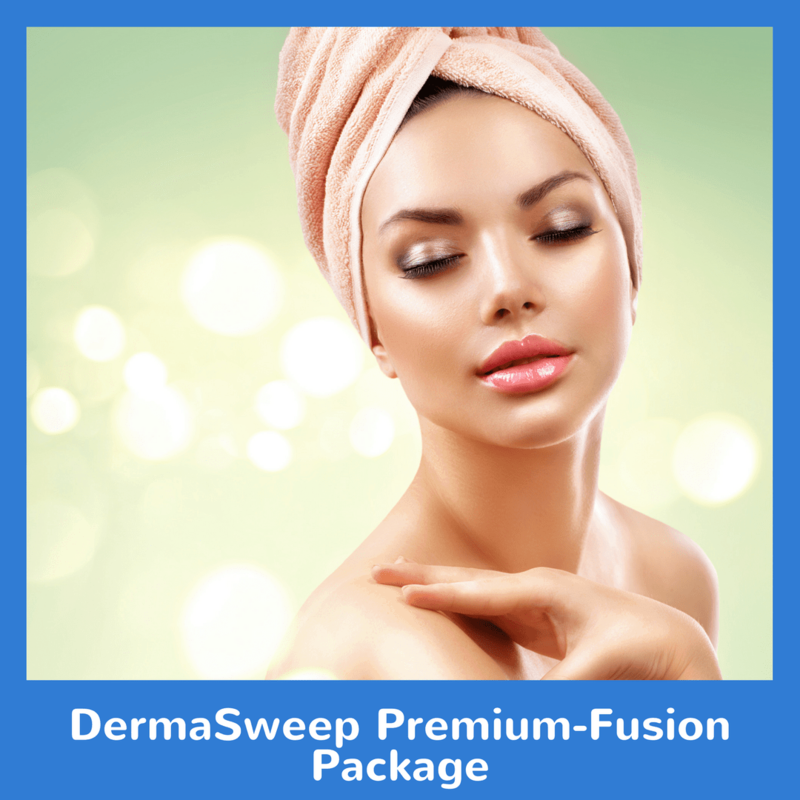 Try our DermaSweep Premium-Fusion Package today!